"The build began in late January 2012. Sam Armington and I met Rush Bird and O.H. Rodgers of Tampa in November of 2011 at the Alter Cup Qualifyer. It was the first time we had seen A cats in person and after seeing the boats they had built we had some questions. At the end of the conversation they expressed that they still had the hull mold and if we could come to an agreement then we could use it. 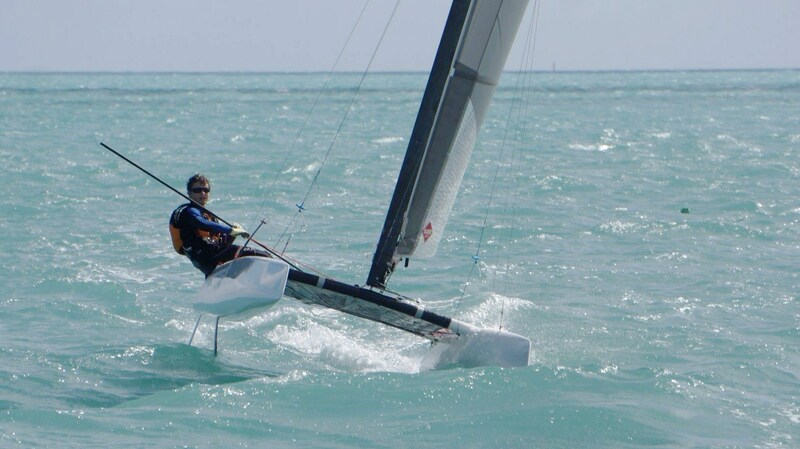 Sam's father, Gary Armington, had experience in building offshore racing catamarans, running Talon Marine. We built the boat a little differently than most, but similar to how the DNA is put together. We installed the bulkheads and beams before we put the outer hull halves on. We made our own curved beams, by using a 2 part, closed female mold. The daggerboard and rudder molds also came with the hull molds. We vacuum bagged a wet layup with a divinycell core. 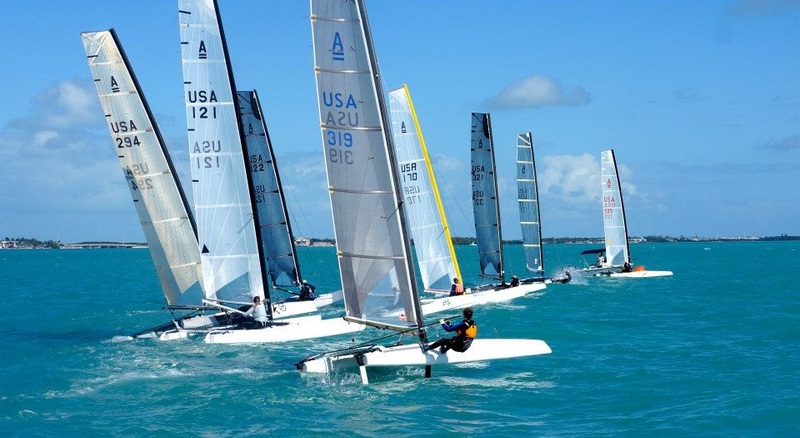 Originally the goal was to go to worlds since it was in Islamorada, but neither of us completed our boats in time and it seems that all we missed was carnage. I completed my boat and it was painted in early December, so I had about ten practice days before the Coconut Grove Sails and Canvas Invitational and Intergalactica in Islamorada in January. 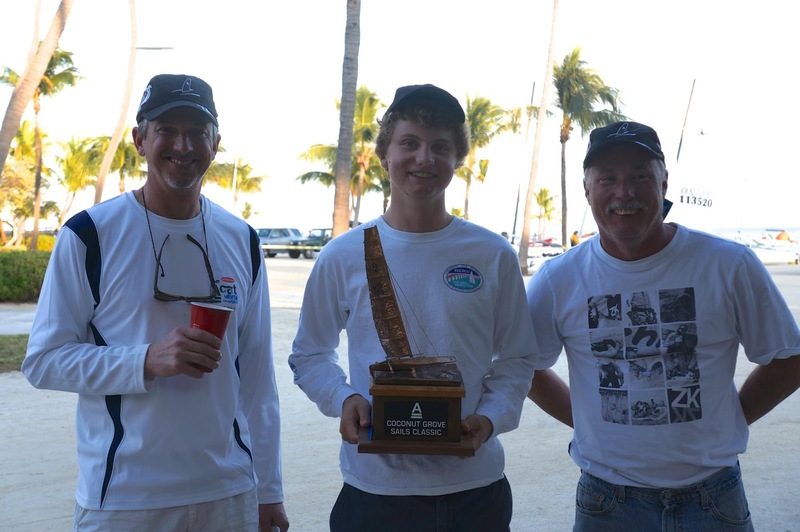 The Invitational, which was held January 14th and 15th, had a breeze of 15 knots and moderate waves. I had great speed the whole regatta and after racing tightly with Tracy Oliver on one of Ben Hall's Barracudas I won. I had won 3 out of 6 races. Then on Wednesday Ben Hall, Ben Moon, the group from Atlanta, and others showed up in time for the Intergalactica on January 17th and 18th. After the first day in light wind I was tied with Bailey White, who was on a DNA. On Friday morning the breeze was up and Ben Moon showed great speed, leading the fleet around, with Bailey White, Ben Hall, and myself behind. Bailey White emerged with a close win over Ben Moon. I placed third after tying with Ben Hall. Overall it was a good experience, I had some issues with my boat that kept me and O.H. busy, but I'm still working the bugs out. I also made many friends while I was down there. The A class is a good fleet to be in and everyone wants to help you. This is what sets the class apart from the others. Next is A class Midwinters in Davis Island and then Admirals cup."